Remember the extreme Diet Coke and Mentos experiments from 2007 in which two lab-coated science guys drop Mentos mints into two-liter bottles of Diet Coke? The video depicting the resulting geysers spewing across their backyard has been viewed no less than 10 million times on YouTube and became a cultural phenomenon as it spread digitally around the globe. More recently, Nike’s “Earl and Tiger” ad on the eve of Tiger Woods’ return to professional golf (“Tiger, I want to find out what your thinking was…”) has achieved a similar distinction, garnering millions of views and spawning parodies that were viewed nearly as often as the original spot. That viral video pass-along, which in both cases happened organically, is an event marketer’s dream, a form of visual word of mouth, and they have taken note. 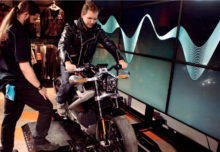 Now, brands like OfficeMax, H&M, Mutual of Omaha, Jockey, even the U.S. Census with its Portrait of America Tour, are incorporating video into their experiences as a way of connecting with consumers, involving them in an event and extending its impact long after the tent has folded and the truck has pulled out of town. 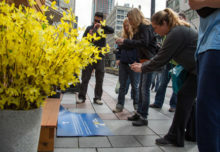 They’re staging flash mobs, then uploading the video to the web; sponsoring sweepstakes in which participants submit videos and vote for their favorites; and setting up kiosks where event attendees can record their stories and view them online. Even more fun, consumers themselves are filming the events and posting them to the web. Just how these marketers incorporate video into the event depends on the objective. 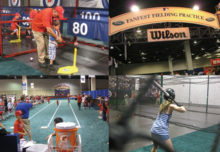 Sometimes the goal is to create instant viral buzz by creating an event and uploading footage immediately to the web. Other times, the goal is more long-term, to create brand awareness via ongoing activities such as consumer testimonials and storytelling. In either case, there is no guarantee that the videos go viral. Some, like OfficeMax, do make that connection. 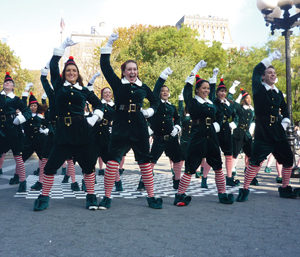 Last holiday season, the office products retailer unleashed 400 elves across New York City’s Union Square to hype the return of its popular ElfYourself website, where consumers can upload headshots of themselves onto the humorously gyrating bodies of dancing elves (Grand Central Marketing, New York City, handled). Before it could upload the street campaign footage to the web, onlookers and passersby had already done so via their camera phones and Flip cameras. OfficeMax’s viral video generated more than 350,000 views on YouTube alone and generated more than 110 million impressions, and that is in addition to ElfYourself, which is a viral phenomenon in its own right. Retailer H&M deployed a similar strategy in San Francisco earlier this year with a flash mob of 55 kids clad in its apparel engaging in a hip-hop dance-off that has garnered thousands of YouTube views (Mr Youth, New York City, handled). Jockey’s approach, like that of Mutual of Omaha and the U.S. Census, is designed to interact and engage consumers as well as create brand awareness, in Jockey’s case for its Classics underwear collection. At each stop on a mobile tour called the Jockey Classic Road Trip, which kicked off in May, it is filming attendees’ stories of their favorite road trip destinations (RedPeg Marketing, Alexandria, VA, handles). Attendees are filmed outside of the Jockey Airstream trailer, next to a classic 1965 Caspian-blue Ford Mustang convertible, via a hand-held video camera for a realistic, unpolished effect. The clips will be posted on its microsite, jockeyclassic.com/event, for public viewing. Mutual of Omaha in May kicked off a 25-city tour filming “aha” moments in which people relate a personal experience that impacted their life in a positive way. The moments are online at mutualofomaha.com/aha. On last year’s tour, 10 of those moments became TV commercials after a nationwide vote (Skadaddle Media, Sausalito, CA, handles).